Scan enemy Digimon and make them your allies. Bandai Namco has released new screenshots and details on Digimon Story: Cyber Sleuth following the game’s recent weeks of magazine coverage. Once you’ve gathered 100 percent of a Digimon’s data, which you’ll accumulate each time you encounter the same Digimon, you can then convert the Digimon into an ally. Training your Digimon will digivolve them into stronger Digimon, such as Gabumon to Garurumon. A Digimon will digivolve based on its level and ability scores. 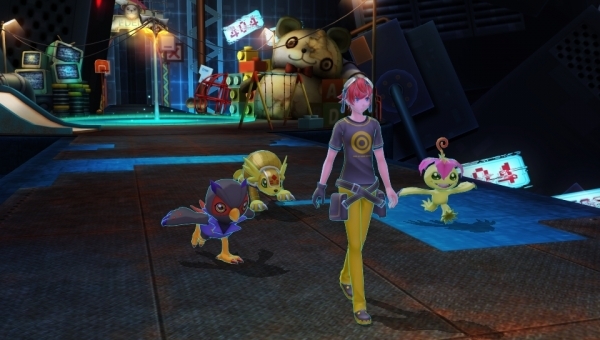 Digimon Story: Cyber Sleuth is due out for PS Vita in Japan next year.